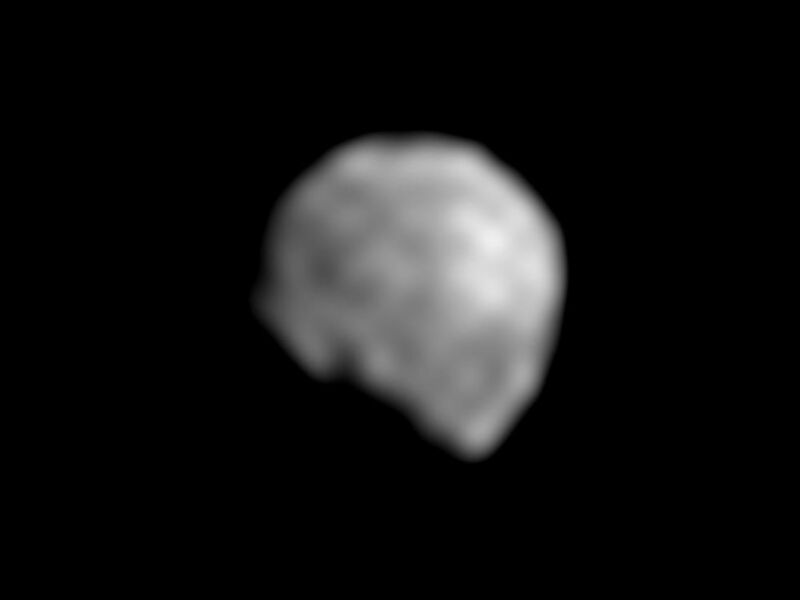 This image is a closeup of the newly discovered moon of the asteroid Ida, provisionally designated '1993 (243) 1.' This is a magnified, processed version of the single view of the natural satellite transmitted so far by the Galileo spacecraft to Earth. Only 1.5 kilometers (1 mile) across in this view, the overall shape, size, rotation and orbital motion of the natural satellite are still unknown. The sun's illumination is coming from the upper right. The black 'gouge' in the body's shape toward the lower left is probably more apparent than real and is mostly a part of the shadowed night side of the little moon. A rugged landscape, including one or two craters, appears to be present, although the smallest features that can be detected in this picture are about 1/7th the diameter of the natural satellite. 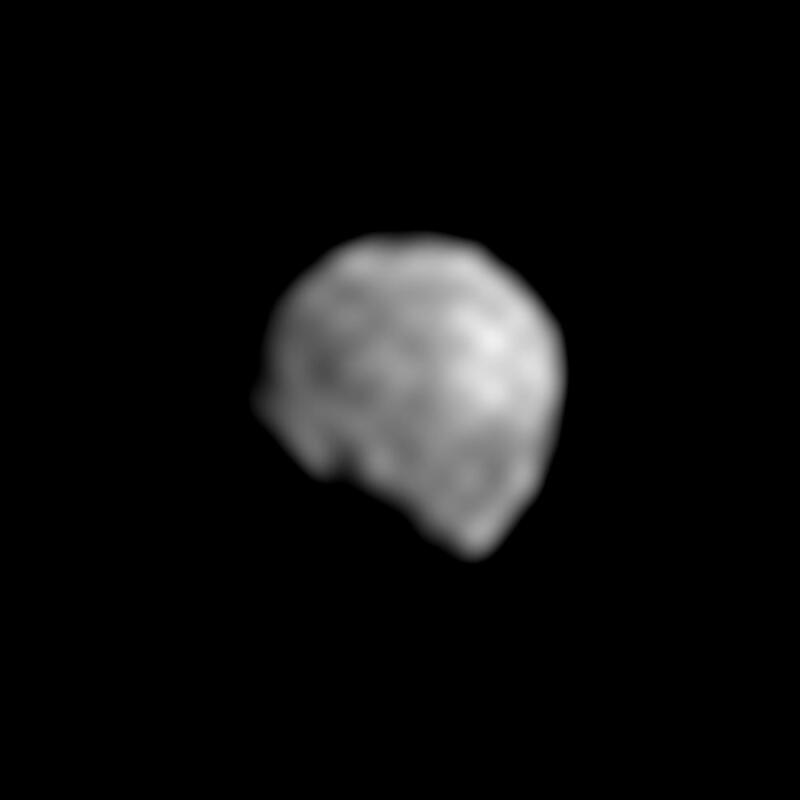 This picture was taken by Galileo during its flyby of Ida on August 28, 1993. Later in the spring of 1994, scientists hope to receive other views of Ida's moon which are currently stored on Galileo's onboard tape recorder; one of those images is expected to be at least three times sharper than this one. The Jet Propulsion Laboratory manages the Galileo Project for NASA's Office of Space Science. 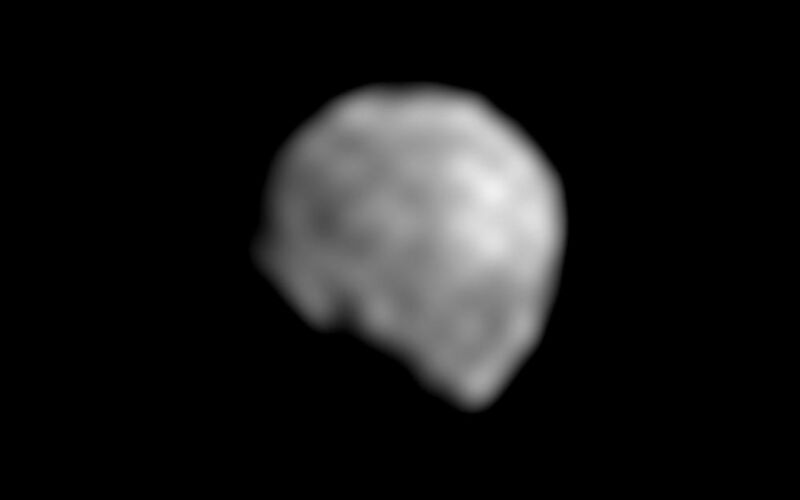 Within seconds of its closest approach to the asteroid 243 Ida on August 28, 1993, NASA's Galileo spacecraft's Solid State Imaging camera caught this glimpse of Ida's previously unknown moon orbiting the asteroid. 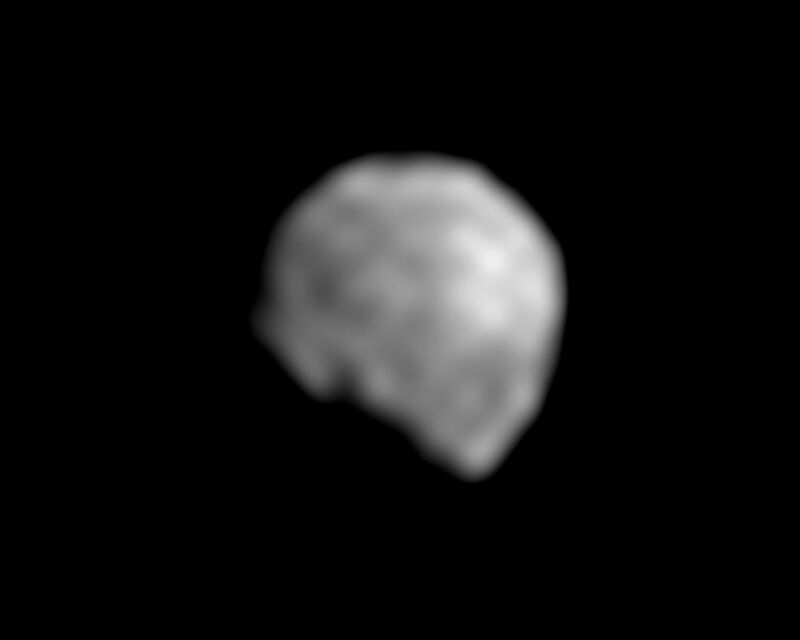 This image was the most detailed picture of then recently discovered natural satellite of asteroid 243 Ida taken by the Galileo Solid-State Imaging camera during its encounter with the asteroid on August 28, 1993.